Project Troskala has commenced. We were pulled around to the mast crane at 09:00 in preparation for an old mast to be taken down ready for the new mast to be installed. All went well with the operation as 4 guys busied themselves around the boat. 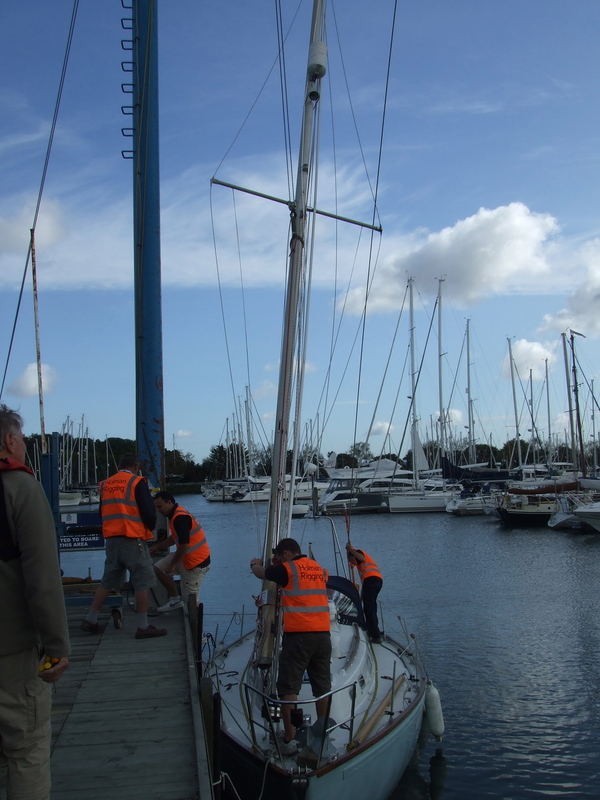 There seems to be a problem with the mast step that is used to support the mast on the deck so more work needs to be carried out by the riggers additional to what we expected. We were hauled out of the water at 11:00. I was surprised to see how clean her bottom was after being in the water for 18 months. After we were established the work has commenced. 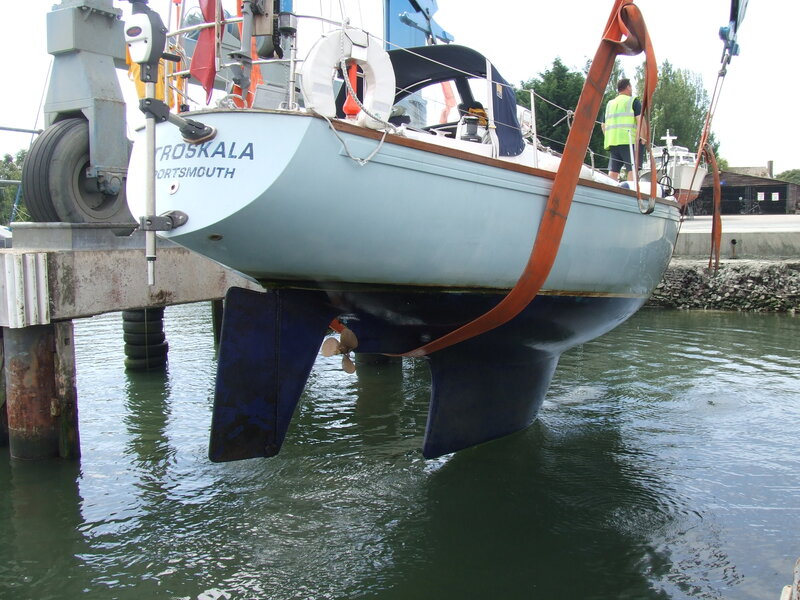 We employed a contractor called John Pike who has changed all our seacocks, raised our Waterline by two inches, and polished our topsides. I have spent time sanding and painting, whilst my Dad has had to remove our newly installed Hydrovane due to a poor fitting previously. As the days move forwards and departure draws nearer more jobs spring up; I have not even thought about planning our Biscay crossing which is now only two weeks away. I will update you all when we are back in the water, which is now scheduled for next Tuesday departing Wednesday. 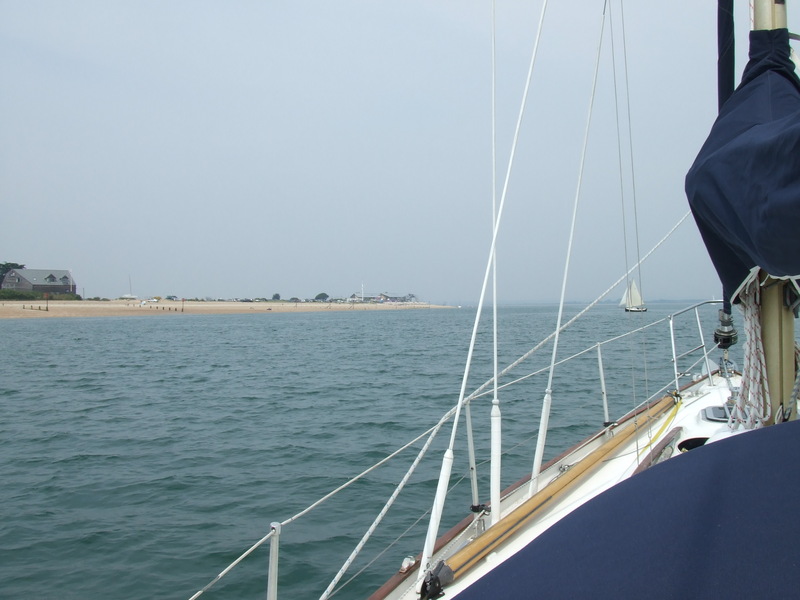 18 months ago we departed Chichester bound for St Katharine’s in London, now we silently sail up the Ichenor heading to Premier Marina’s Chichester Marina at 08:00 in the morning. As we approached the lock we motored through; I half expected some spectators awaiting our arrival but all was pretty subdued and we moored up and went for some breakfast after filling the relevant forms. We were back. It does not feel as it did before probably due to the adventure that awaits us. I wanted to relax and take some time to walk around but there was so much to do and in the back of my head I new that free time is not an option. We spent the afternoon travelling to Portsmouth to a large chandlery in Port Solent. I managed to buy and new Navigation Light (£70) plus paints, ropes, fittings in preparation for the work that is needed. I left Port Solent £250 worst off and although I hate spending this money it is a necessity. We spend the Saturday at Anchor, I felt that this would be a great opportunity to see what it is like not being in a marina and then it dawned on me that we were down to 3 tea bags, so not a good start to my victualing. There had to be a plan of action so we decided to use the dinghy to motor over to Hayling Island to look for a corner shop. It took us around 30 minutes to get to the Yacht Club at Hayling and then a 30 minute walk through suburbia to find the shop. We stoked up on tea, biscuits and ginger beer and then set off taking a detour up Mangham Rithe creek before we ran out of water and had to turn back. We got safely back to Troskala and went over to the beach later on in the day to play some tennis with my dad; we are both bad at that game a got bored pretty quickly. The wind by now had picked up to force 6 and we were moving around at our anchor a lot. In total of 4 boats had dragged anchor the night before we one boat collided with another at 03:00 in the morning and I was awoken by the shouting that followed. There was now a boat next to us dragging quite close so another sleepless night was inevitable. 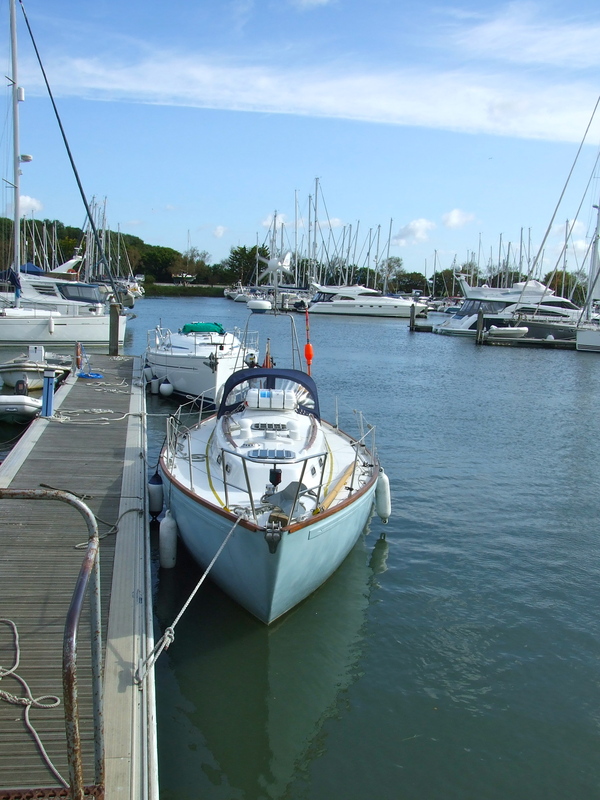 Tomorrow we will be back in Chichester marina with facilities and a peaceful night sleep hopefully. We departed Brighton at 08:00, an hour later than expected but due to tiredness I managed to spill diesel all over the cockpit whilst filling the tanks which needed to be cleaned before we set off. We left Brighton into a windless sea but at east the sun was shining. The main sail was raised but it was clear that the day would consist of motoring the 40 miles to Easthead in Chichester harbor. I decided to take a short cut through the Looe channel, which consists of a narrow gap between Selsey Bill and Owers Rocks. We approached the Looe around 11:00 but with tide now turning against us we were pushing the motor hard to make 3.8 knots. We arrived at Eastbourne at 13:00. We dropped anchor hoping that the Delta anchor would hold us for the two days we would be perched off this beach. I tried to sleep but with so much going on around I found it difficult. 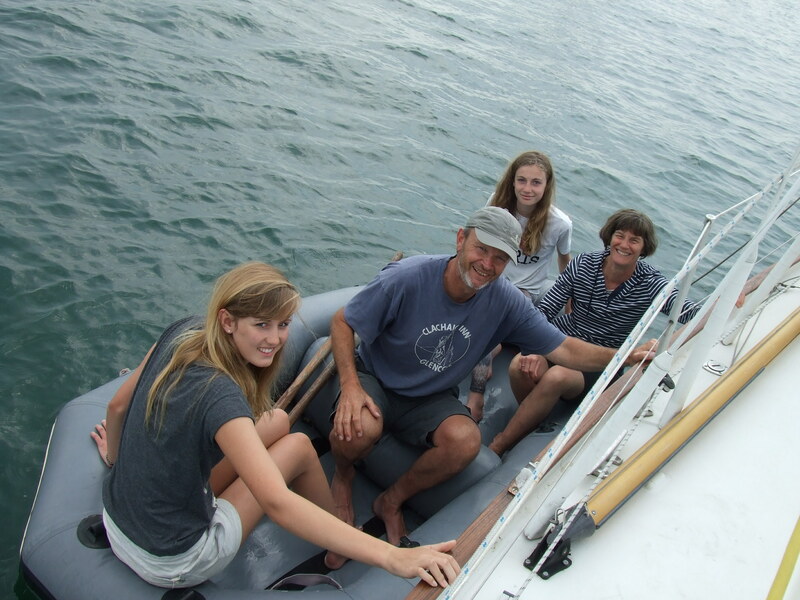 In the end the dinghy was inflated and we motored to the beach to have a walk and a break from being on board. The weather was glorious and typically the wind by now had picked up. 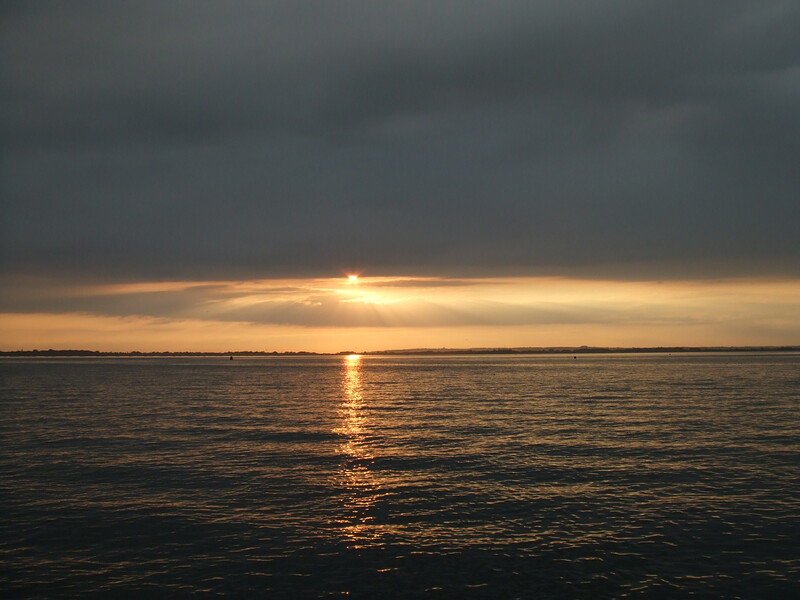 We motored up a creek at West Wittering’s to look at some boats but apart from that the night was pretty uneventful. 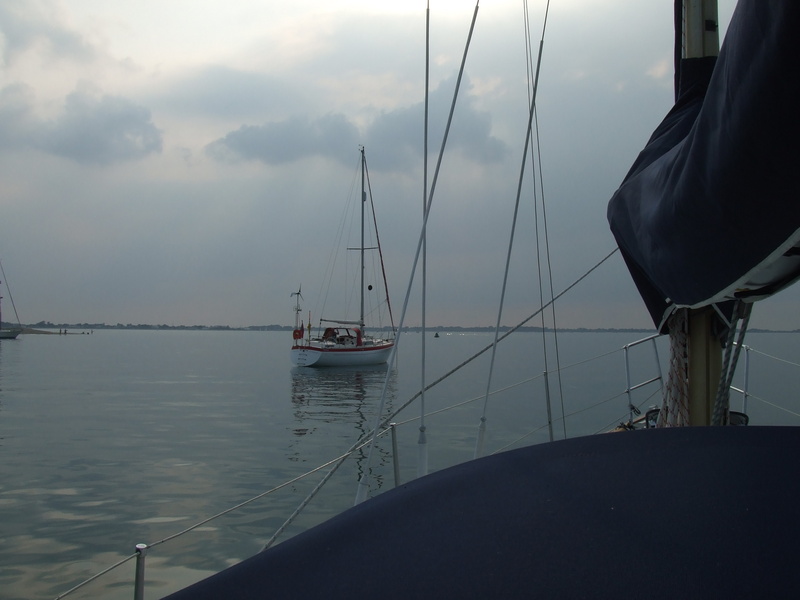 I always have sleepless nights on the first night at anchor with the worry of dragging as it is very tidal in the area but we held and the Delta has now saved us £20 in marina fees.